BessieMary: Orange Roofs and Green Nuts! Almost sounds like a line from a favorite children's book! 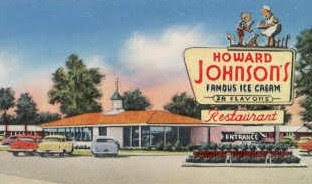 If you are of a certain age, you might remember a chain of restaurants named after their founder, Howard Johnson. They always had orange roofs. Many were crowned with a cupola and weather vane depicting the company logo of Simple Simon and the Pieman! I especially remember dining at the Ft. Worth location when visiting my paternal grandfather. One of their specialities was fried clams - a rare treat for landlocked North Texas. Their other claim to fame was the ice cream: 28 flavors! This was long before Baskin-Robbins or Ben and Jerry. Mother's favorite was pistachio, hands down. I remember sharing many scoops of that light green confection. I was mostly enchanted with the fact that each scoop came with its own little Howard Johnson logo-bearing cookie. A cookie that you did not even have to request. Nothing at all like a dish of Howard Johnson's pistachio ice cream, but they still conjured up some sweet childhood memories. 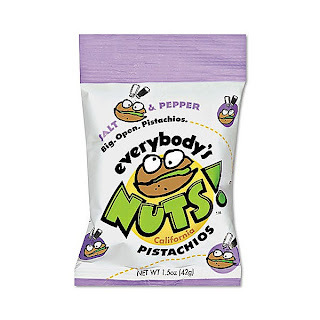 I might add that I am now totally addicted to this rather unique salt and pepper flavor and can't stop eating them! Wonder what Mother would think? 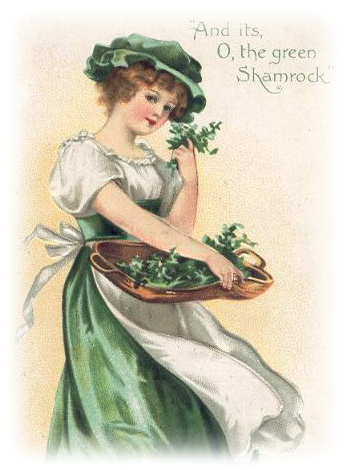 Speaking of green, please visit Laurie to participate in her St. Patrick's Day Give-away! That's how I remember HoJo's! Loved those friend clams!